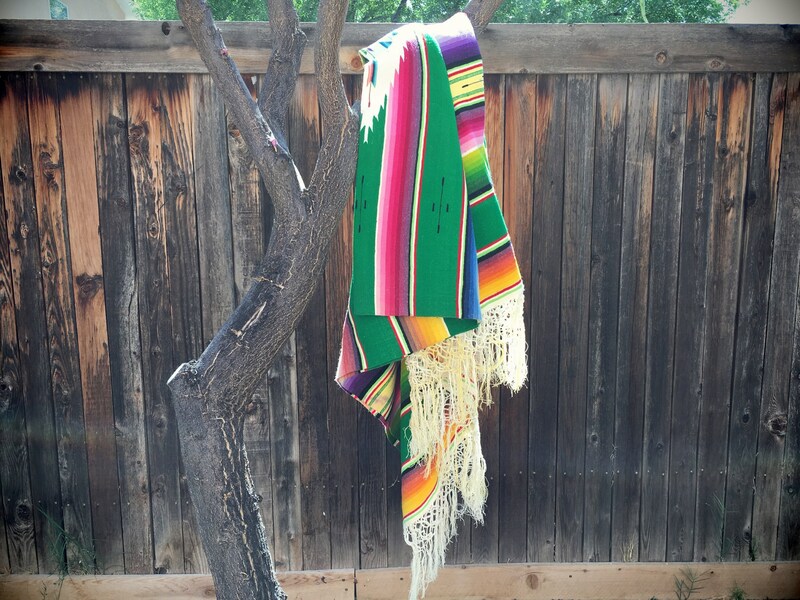 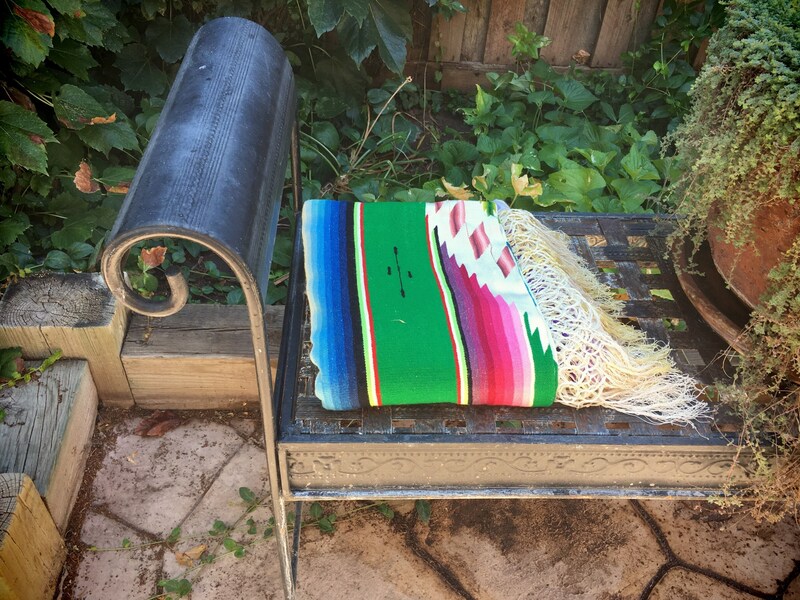 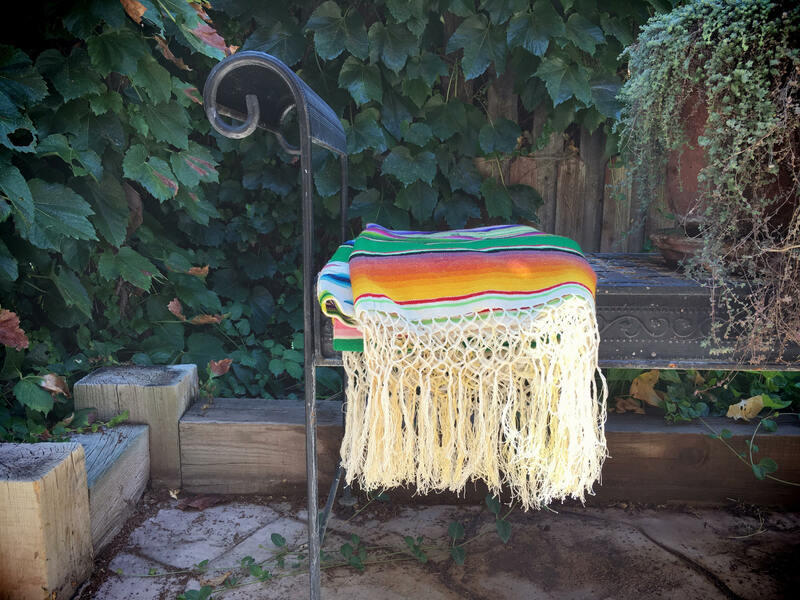 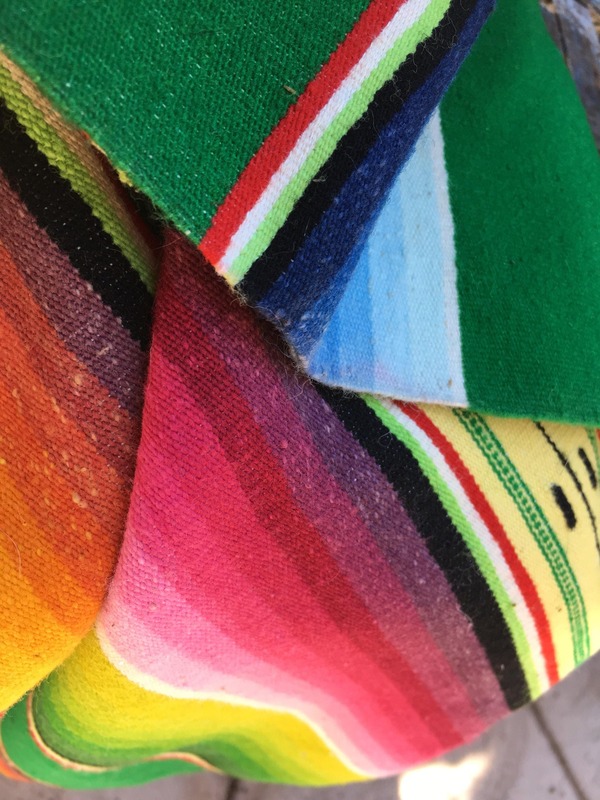 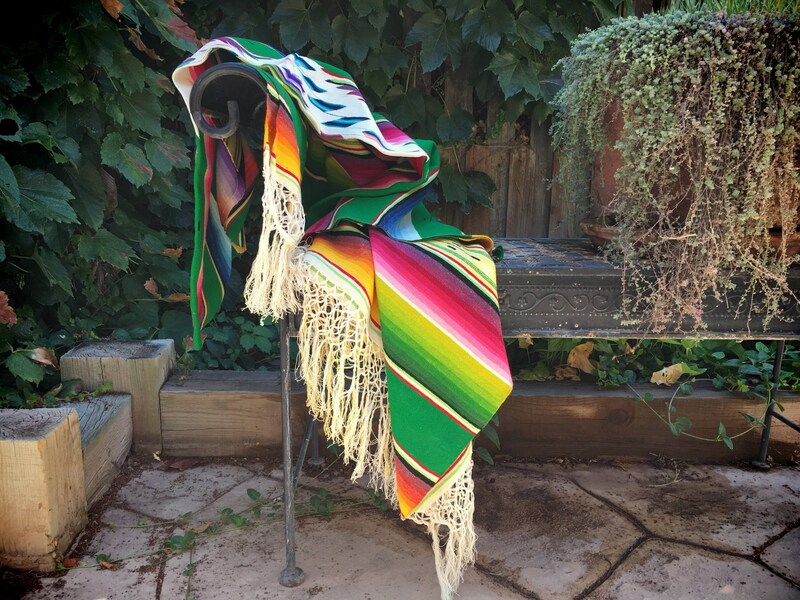 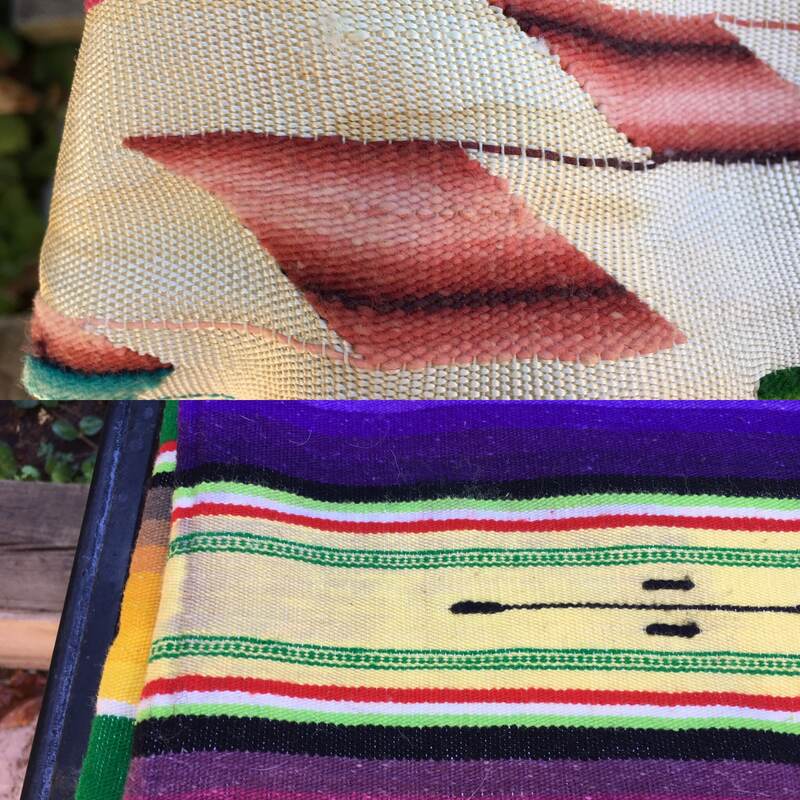 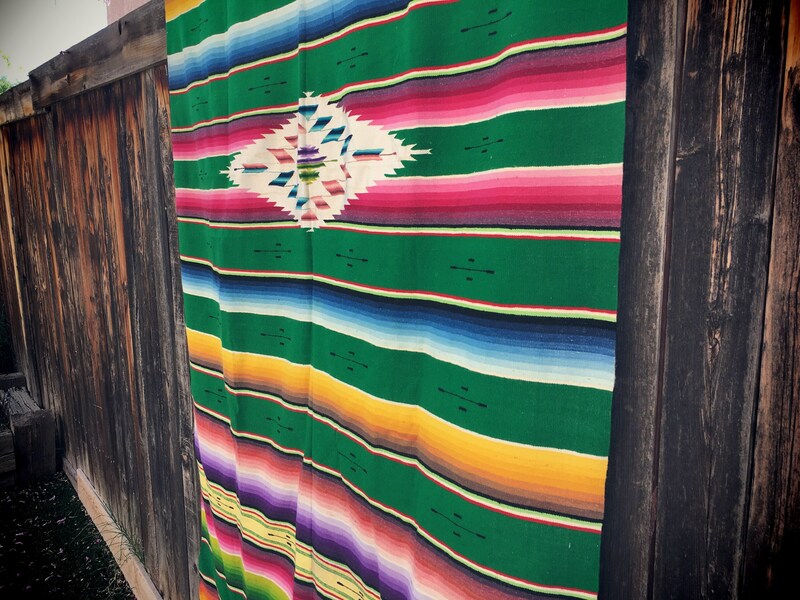 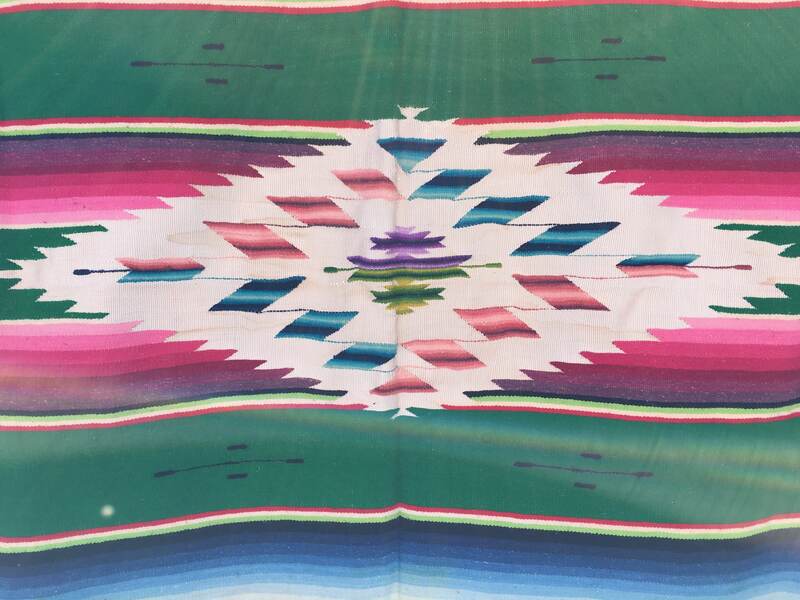 This serape blanket measures about 45-1/2" wide by 82" long not including the fringe. 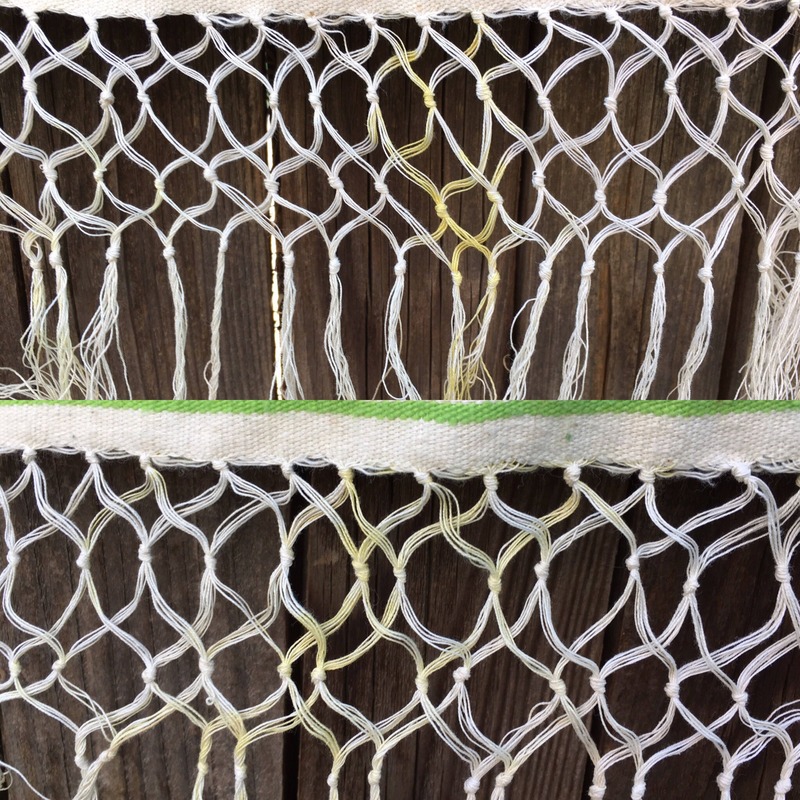 There are spots that have been stained or where color has bled into the fiber--see Photos 9 and 10 for close-ups. 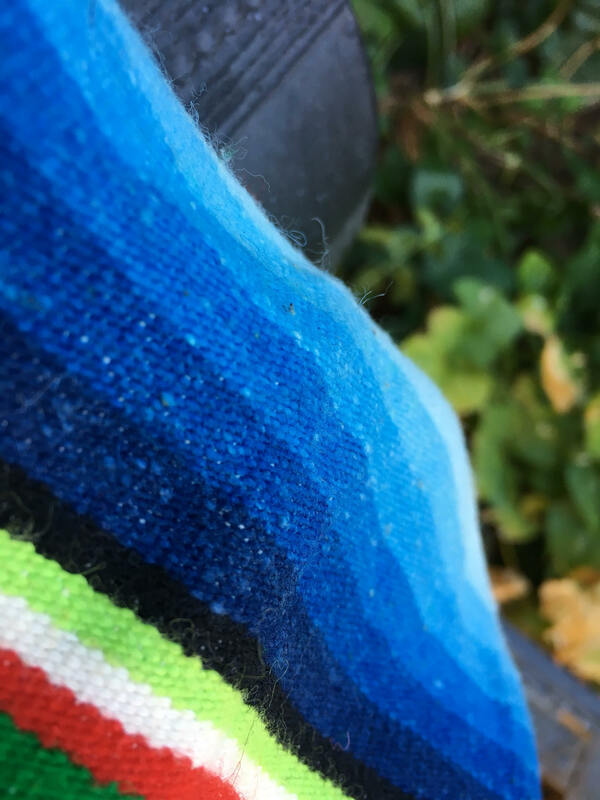 Nonetheless, the condition is actually quite good given the age.